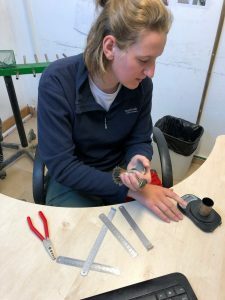 Home › STATION NOTES / BLOG › A gathering of feathered minds! Spring migration monitoring is almost upon us! In less than two weeks, hardy souls will brave the chilly winds of Georgian Bay to set up the research station at Cabot Head once again. It will be the 18th year of constant monitoring, and hard to believe, the 14th year it is managed by yours truly. I am indeed excited to return to this magical place and eager to discover what surprises await us in the renewed cycle of eternal returns. In the meanwhile, I’d like to entertain you with tall tales of migration under very different skies, of a time and place when Bird Observatories flocked together in an exhilarating conference. 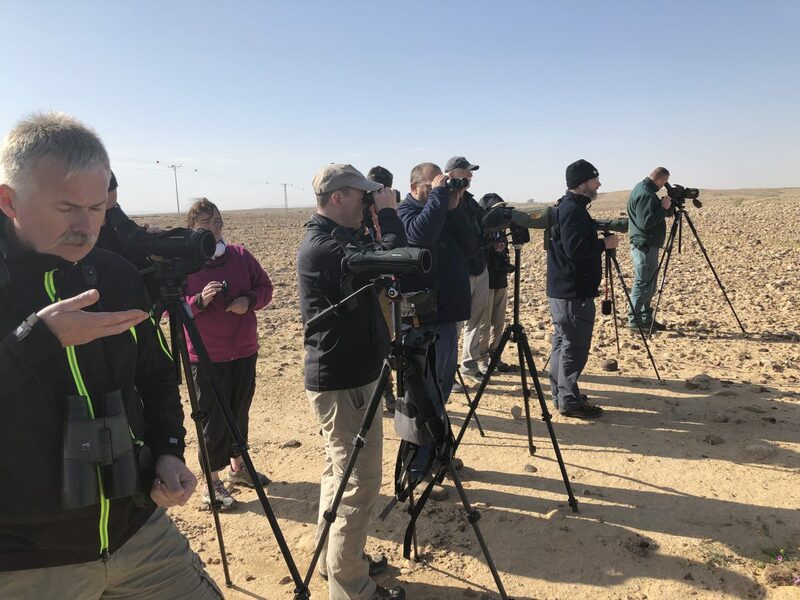 Yes, I was very fortunate to attend the International Bird Observatories Conference 2019 (www.iboc2019.com) in Eilat, Israel, at the end of March. The third of its kind, it convened under the same roof people truly from all over the world, be it Mongolia, West Africa, the Caucasus, or, even very exotic places, like the Bruce Peninsula of Ontario! It is always inspiring and uplifting to be among so many like-minded spirits, sharing their experiences, joys, and difficulties. 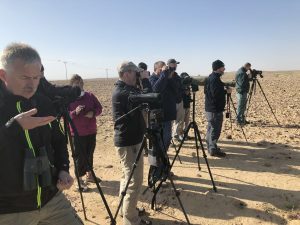 Besides all the talks and discussions, many, including myself, were eager to get up at dawn to participate in the daily morning birding trips around the city: Eilat, at the northern edge of the Gulf of Aqaba (that is, the eastern arm of the Red Sea that embraces the Sinai), is the first real oasis migrants encounter on their Spring flight, after crossing the vastness of the Sahara. It thus draws many, many migrants, as well as local birds, all of them very exciting for travellers from abroad. 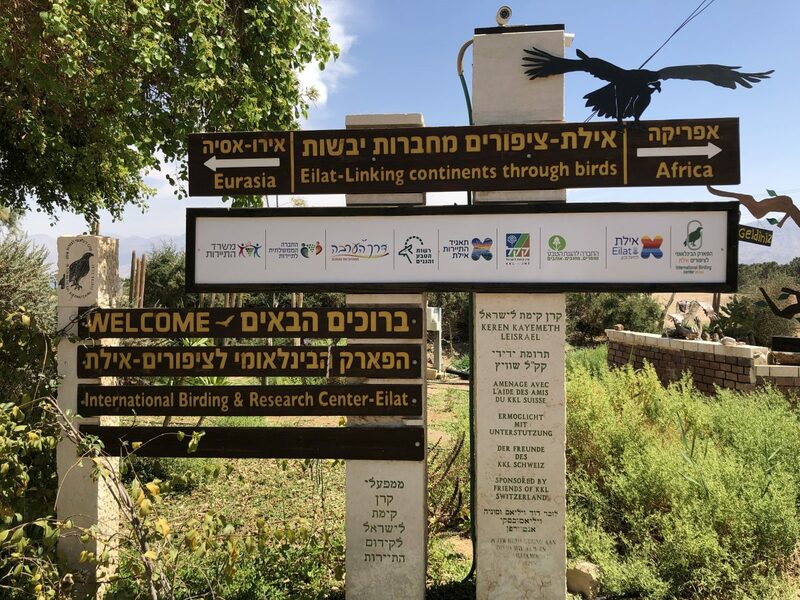 Eilat’s reputation is also based on the amazing diurnal migration of birds of prey (over a million birds counted in Spring) and storks (several tens of thousands). My first love being raptors, I was absolutely delighted to have my dream come true and experience a bit of the Spring migration in Eilat. And oh boy, I was not disappointed! 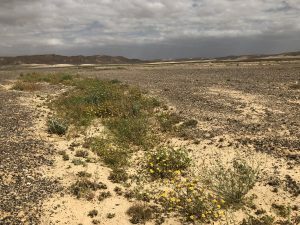 Even in the short period I was there, my sights were filled with wonder, as thousands of raptors (mostly Steppe Buzzards, with good numbers of Black Kites, and the occasional but sought-after Steppe Eagles) streamed northward in long parades across the skies. Add the huge congregation of White Storks to the mix, and it was truly paradise for a migration buff. I will spare you a full, and very long, list of all the birds I was fortunate enough to see. Suffice it to say that it was an amazing little adventure, filled with wonderful encounters of spirited human beings and feathered friends; the former sharing an amazing devotion to the latter. I also returned from the hectic days under a desert sun with a renewed gratefulness for the calm beauty of the Bruce Peninsula. Its dark sky, its deep forest, its (somewhat) clean shorelines, and the many people dedicated to keeping it that way make the Bruce Peninsula a true wonder; a place of inspiration and awe, a place we all should be proud of and strive to protect. 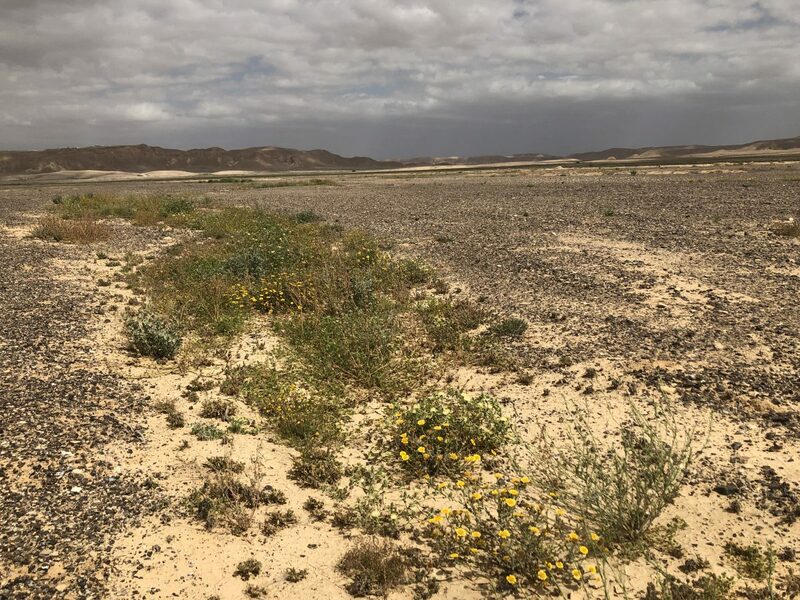 Birdwatching in the greenest desert seen in the last 15 years! ‹ Another season comes to an end.